The Antlers were made from a butchered novelty antler coat rack. I bought a coat rack hook that was meant to look like to antlers. I chopped the rack apart and removed some tines, then added clay to smooth out the curves. 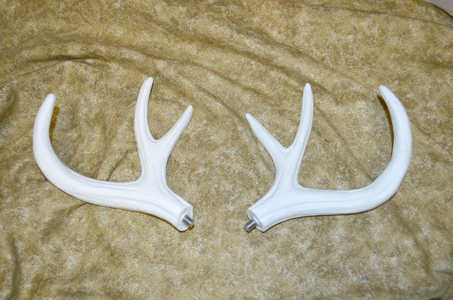 I made a mold the modded antlers and cast them in resin. As the resin cured, I set a screw into the antler base. A Tee-nut was installed in the head so the antler could be screwed into the base. 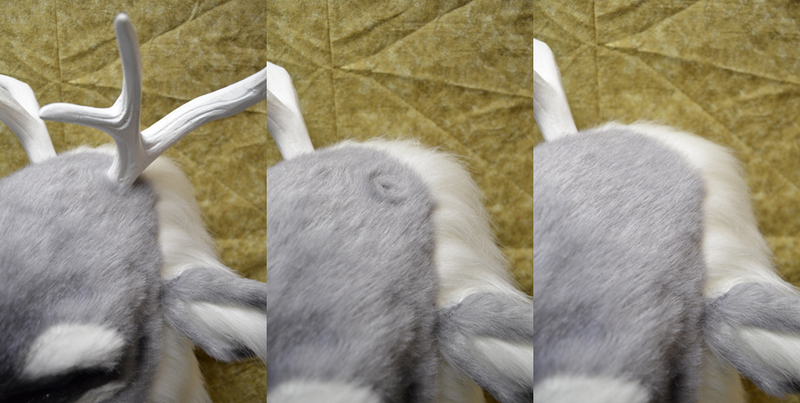 If you brush the fur over, you can barely even see the hole! 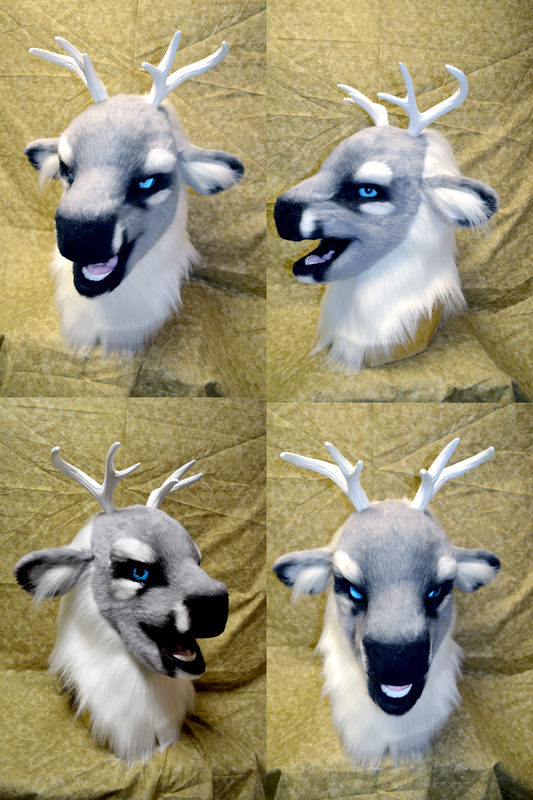 I decided to make the deer into a partial. I made everything except the cloppers. 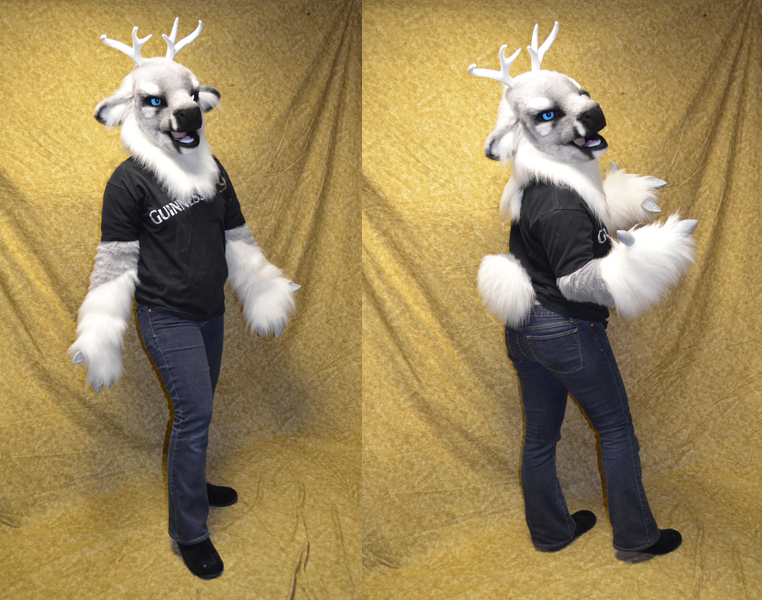 Dream Vision creations made the hoof "fingers" which I then installed.